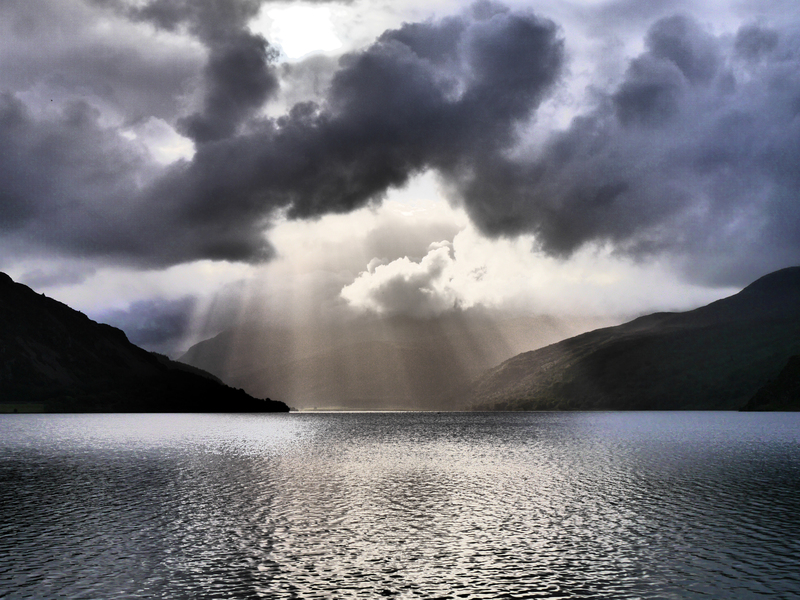 Around 47% (1878 hectares) of Wild Ennerdale has protected habitat status. 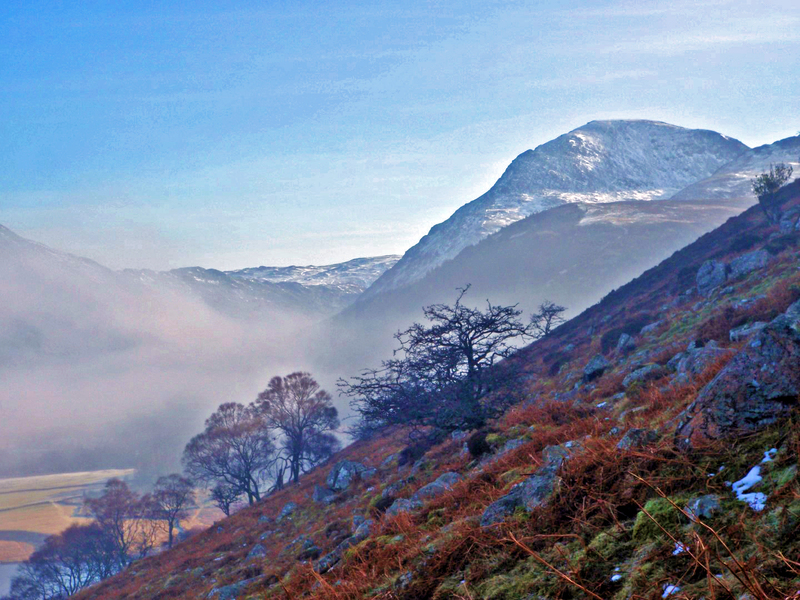 The Ennerdale valley includes a number of habitats that have been given protected status at both UK and European levels. The highest UK Protected status is designated a Site of Special Scientific Interest (SSSI). Once designated a SSSI the site can then be considered at a European level to be designated a Special Area of Conservation (SAC). Ennerdale has two SSSI and two SAC. These special habitats are carefully managed, offer challenges but also exciting opportunities to see how we can release natural processes and restore these amazing ecosystems. The crags and rock outcrops around Bowness Knott provide excellent exposures of an igneous rock-type known as the Ennerdale Granophyre. This was injected into the crust in a molten state (as magma) during the early Ordovician Period of geological history about 475 million years ago. These outcrops are of particular interest as they illustrate the contact of the granophyre with the surrounding Skiddaw Slate “country rocks”. The injection of the granophyre at high temperature baked the country rocks and the effects of this process can also be studied at Bowness Knott. 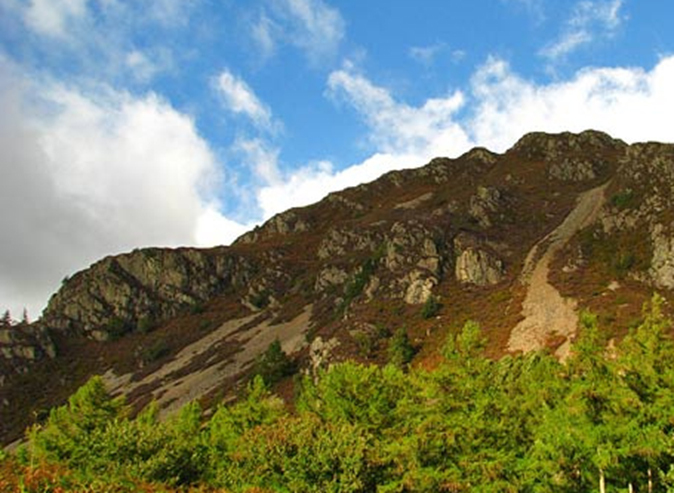 This is an important site for study of the Ennerdale Granophyre, demonstrating many features of geological interest. Ennerdale Water is an important example of a nutrient-poor lake and in Cumbria is second only to Wastwater for its low productivity. It is relatively undisturbed and supports a characteristic freshwater flora and fauna which include examples of nationally rare and local species The site contains a variety of habitats apart from the open water of the lake itself, including the shoreline, a small area of semi-natural deciduous woodland with important lichen and bryophyte communities, and a small area of wetland at the head of the lake. Latterbarrow Wood is an area of birch-oak woodland: on the steep south-facing slopes above the lake head and is included within the site. Side wood previously within Ennerdale SSSI is now part of Ennerdale and Pillar Fells SSSI. Fish populations include the nationally rare Arctic Charr which spawn in the lower reaches of the River Liza at the head of the lake, brown trout, salmon, eel, three-spined stickleback and minnow. The lake is also home to two rare crustaceans which are characteristic of relic glacial lakes The southern shore is devoid of aquatic vegetation, being steep and rocky, while the richest areas are the western basin and part of the northern shore. The aquatic flora found here is typical of unproductive lakes and includes water lobelia and quillwort which are frequent in Cumbria but uncommon elsewhere in England. Pillar and Ennerdale Fells SACThe site is important in exhibiting one of the best known examples of altitudinal succession in England. From native upland birch-oak woodland at 120m asl on the shores of Ennerdale the vegetation changes through sub-montane heaths and grasslands to montane heaths along the summit ridge at an altitude of 890m. The range of heathland types found on Ennerdale Fell are some of the most important in Cumbria as are the herb-rich upland ledge communities associated with the crags of Pillar. Additional interest is provided by the native broad-leaved woodland of Side Wood and the upland breeding bird community. As a result of the range of habitats found within the Pillar and Ennerdale Fells SSSI, the site supports one of the best upland breeding bird assemblages in West Cumbria. Breeding species include buzzard, peregrine, merlin, raven, red grouse, wheatear, whinchat and ring-ouzel. For much of its upper length the River Ehen is classed as an oligotrophic, or nutrient-poor, river flowing over bryophyte-dominated substrates of shingle, pebbles and rock. Between Ennerdale Water and the confluence with the River Keekle at Cleator Moor, the Ehen meanders across a narrow floodplain with extensive areas of riparian woodland and trees. This stretch of the river supports outstanding populations of the freshwater mussel Margaritifera margaritifera. Collectively, this is the largest known population of this species in England and the only one showing recent recruitment. It is the third largest population in Britain. It is for this reason the the River Ehen is also designated a Special Area of Conservation (SAC), meaning that it is of European significance. Margaritifera margaritifera has a complex lifecycle with part of the juvenile stage dependent on attachment for a short period to young salmon or trout. Later juvenile stages involve burial within the gravel beds of the river. 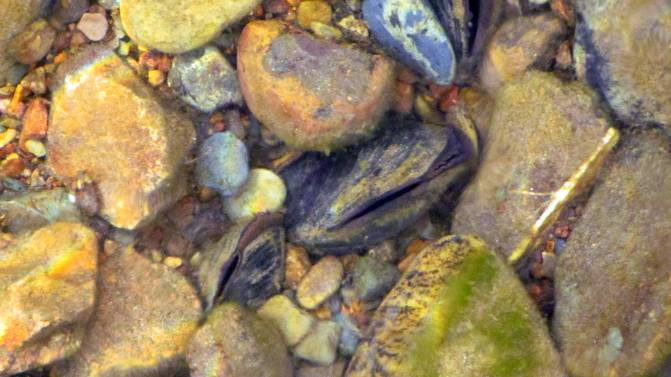 For these reasons, maintenance and successful recruitment of the mussel populations is dependent on the well-being of the whole river system.